WASHINGTON, DC - Scripophily.com has acquired the Old Stock & Bond Research Archives (Formally RM Smythe Research) from Herzog & Co., Inc. The asset purchase includes all archives, publishing rights and copyrights on obsolete research reference material published by the Marvyn Scudders Manuals, the Robert D. Fisher Manuals, and the Herzog & Co., Inc. obsolete research services, which have been performed continuously since 1880. “We are extremely excited to add this extensive collection of old company research material to our existing library of company histories adding to our leadership position in researching old companies,” said Bob Kerstein, CPA Founder of Scripophily.com and OldCompany.com. “Marvyn Scudder, Robert D. Fisher, and John Herzog were pioneers in the stock and bond research service and we are extremely honored to become the successor to this reference material,” Kerstein added. Scripophily.com offers its Old Stock Research Service at OldCompany.com which began its website presence in 1996. John Herzog is the Founder and Chairman Emeritus of the Museum of American Finance and currently Chairman Emeritus of Spink/Smythe, an auction house specializing in antique stocks and bonds, banknotes, coins, autographs and photographs. 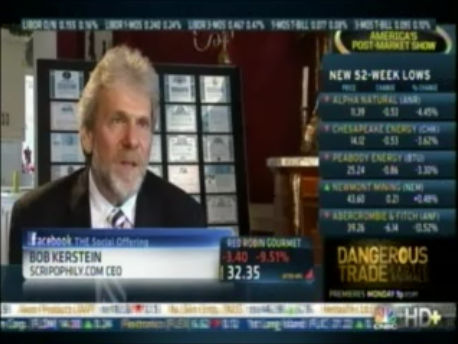 Formerly he was Chairman and Chief Executive Officer of Herzog Heine Geduld, Inc. He is a member of the Board of Overseers at the Leonard N. Stern School of Business. The Old Company Research Service will generate a report for individuals, banks, attorneys, estates and trusts detailing the company's history regarding name changes, mergers, bankruptcies, and predecessor and successor companies. If the company did survive, OldCompany.com will provide contact information so a determination can be made as to whether the securities have any market value. 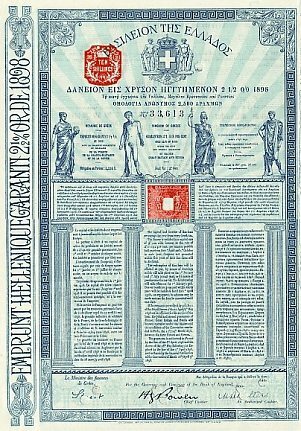 Scripophily.com - The Gift of History is the internet’s leading buyer and seller of collectible stock and bond certificates, and old stock research at OldCompany.com. The company has had items on display in the Museum of American Finance in New York, an affiliate of the Smithsonian Institution. Scripophily.com has been featured on CNBC, USA Today, Baltimore Sun, and Washington Post and in many other media publications.. Our online store has over 17,500 selections including categories such as Frauds, Scandals, Bankruptcies, Dot Coms, as well as the traditional American industries. Scripophily.com is not owned by nor have any ownership rights in Spink Auctioneers or any affiliated companies. 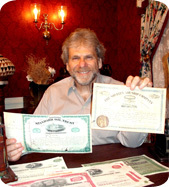 Scripophily.com and OldCompany.com was founded by Bob Kerstein, a Certified Public Accountant and Chartered Global Management Accountant and has more than 36 years of senior management experience in the Cellular, Cable TV, Satellite, Internet, Professional Sports and Entertainment Industries. Bob is also the President of the Professional Scripophily Traders Association (PSTA). 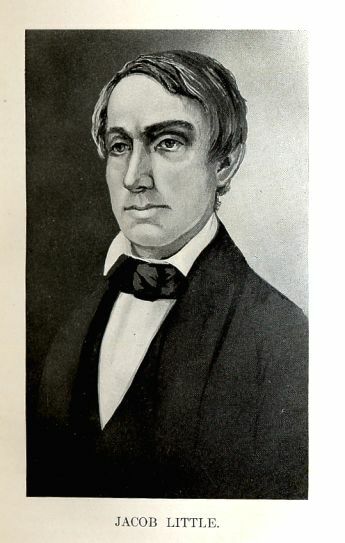 For more information on Scripophily.com®, visit http://www.scripophily.com/, http://www.oldcompany.com and http://www.bob.com or call 1-703-787-3552. Prior to the 2000 election of Chen Shui-bian to the presidency of the Republic of China on Taiwan, the Kuomintang of Generalissimo Chiang Kai-shek ruled Taiwan with an iron fist and expropriated billions of dollars in assets including gold and collateral, some earmarked to redeem defaulted bonds. In 2000, the Kuomintang lost its grip on Taiwan but unlike the Communist Party of the former Soviet Union, the Kuomintang did not return the billions of dollars in cash and assets it had looted from Taiwan and removed from mainland China in 1949. Today the Kuomintang holds a portfolio estimated to be worth at least $6 billion US dollars. Bondholders who paid value for their bonds have had a rough time. Lawsuits against the Peoples Republic of China have been dismissed. However until recently bondholders had overlooked that at least in regards to the Republic of China on Taiwan, the original issuer of many of the bonds, the existence of the defaulted bonds had been reaffirmed by presidential decree in 2003. The plaintiffs are seeking an accounting, redemption, and interest on the defaulted bonds from the Kuomintang. The PSTA is a premier professional association committed to help promote the hobby of Scripophily, the collecting of Stock and Bond Certificates. This association is committed to customer service and education as well as providing the highest quality products, services and support possible.